Connie S. Johnson, of Grand Terrace, CA provided answers my Thirteen Questions. 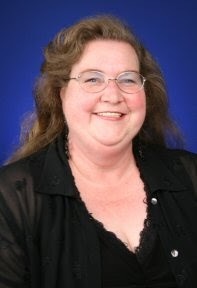 Connie is a paralegal with Lewis Brisbois Bisgaard & Smith. She is a member of the Inland Counties Paralegal Association (ICAP) and currently serves as Vice President of the Board of Directors. What was Connie's first job? What has been the highlight of her career? If she could not be a paralegal, what would be her dream job? Read on. 1. What prompted you to choose a paralegal career? Probably my natural born curiosity. I was never content with just doing what I was told, I always wanted to know why and if no one could tell me I would dig until I found out myself. 2. What is your favorite part of your job? I think I enjoy writing motions and pleadings the most. Digging into the latest court cases and statutes and pulling everything together to support our position. I have a huge sense of satisfaction when I have the finished product in front of me, ready to go. 3. What professional associations do you belong to? Inland Counties Association of Paralegals (ICAP). I have been a member since 2008 and am currently Vice President of the Board of Directors. I am also a member of the National Association of Legal Assistants (NALA). 4. How has your membership benefited you? I have the opportunity to discuss issues and changes in the industry with paralegals from other offices and states and learn things that I may not have learned otherwise. I have also made friends with some amazing people. 5. What has been the highlight of your career? I was the recipient of the 2010 NALA Affiliates Award. 6. If someone contemplating a paralegal career asked you for career advice, what would your answer be? Never be afraid to ask questions. If something is done and you don't know why, question it. The more you ask, the more you learn and the better you become at your job. 7. What is the most important step a paralegal can take to keep his or her career interesting? Always be willing to learn something new. It lets you work in a large variety of law and keeps things interesting. 8. Who would play you in a movie of your life? Bette Midler. I see a lot of me in her. 9. What was your first job? I was an insurance policy typist for Aetna Insurance for a year. 10. What time in the morning do you first check your email? As soon as I open my eyes at 5:00 a.m. I grab my Blackberry and check my e-mail to ensure that something catastrophic didn't occur during the wee morning hours that might need my immediate attention before I brush my teeth. 11. What was the last movie you saw in the theater? The Blind Side. Truly an awesome movie! 12. What is the best live concert you've ever attended? I have never attended a live concert; however, I have played in thousands of them. I wouldn't switch the stage for the seats under any circumstances! 13. If you could not be a paralegal, what would be your dream job? The first chair French horn player in the New York Philharmonic. I've played the French horn most of my life and it has always been my first love. Bonus...Just for Fun Question: What's the worst gift you ever received? Early in our relationship my husband forgot my birthday and wrapped up a padded toilet seat for me so I would have something to open. He told me it was from the "bottom" of his heart.